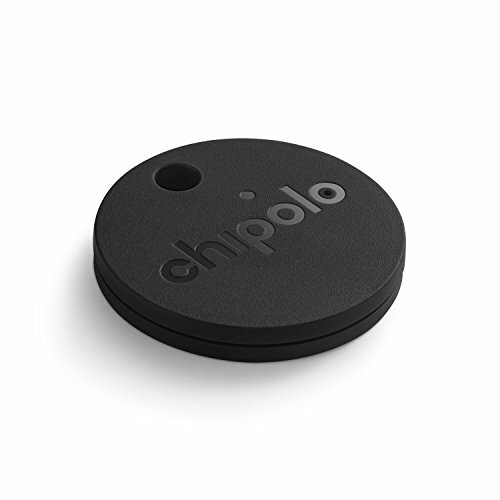 BLUETOOTH TRACKING DEVICE WITH REPLACEABLE BATTERY - Chipolo Classic has easy to replace standard (CR2025) batteries. These batteries last up to 9 months. Battery replacement is easy and takes one minute of your time without requiring any tools. TRACK YOUR VALUABLES - Attach your Chipolo to any item you want to track and connect it to the Chipolo app on your iPhone or Android phone. Misplaced or lost keys? Ring Chipolo from the Chipolo App or see where you last had them on a map if they're out of the Bluetooth range. COMMUNITY SEARCH - Your item isn't where you where you last had it anymore? No worries, mark it as lost and use our large community to your advantage! When another Chipolo user gets close to your missing item, you will get notified immediately with its current location! PHONE FINDER - Double press your Chipolo to make your phone ring even if it's on silent. You can also use our webapp to see the exact location, to ring your device or to send a message that will be sent to your mobile phone. IMPROVED STABILITY & GREAT APP RATINGS - Chipolo is incredibly stable combined with a good battery life. Always ring Chipolo when you need it. Chipolo has 4.3 stars on iOS (Apple) and 4 stars on Android (Google). This makes Chipolo the BEST key finder on the market! If you have any questions about this product by Chipolo, contact us by completing and submitting the form below. If you are looking for a specif part number, please include it with your message.